Not sure what to do with your property? Do you want to maximize your enjoyment while outside or reduce your maintenance? 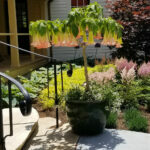 Hartland Designs Inc can offer advice on where to take your landscape, from identifying dangerous or invasive plants, to talking about drainage, plant identification, to creating focal points and beautiful outdoor spaces. Hartland Designs Inc will work with you to make your garden ideas a reality. Whether it be onsite design, rough sketches or formal drawings, Hartland Designs Inc will work to create a landscape that is not only beautiful, but functional, integrating your current landscape into a future vision. 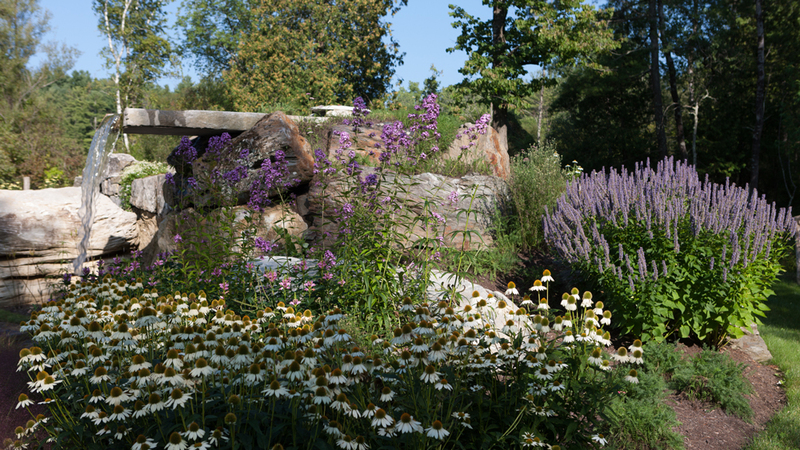 From stone walkways and walls, to perennial, vegetable, and wildflower gardens, to water features, Hartland Designs can build it for you! Hartland Designs loves to collaborate. 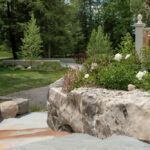 We are happy to install a project created by homeowners, other designers or Landscape Architects. We love reclaiming overgrown sites, eradicating invasive species, all the while emphasizing all the good aspects of a property. We integrate native species where ever possible while working to promote wildlife health. 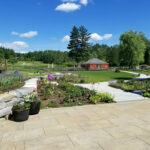 We feel the function of a landscape is just as important as the form it takes, and we pride ourselves in building beautiful, useful, sustainable, and ecologically friendly landscapes. 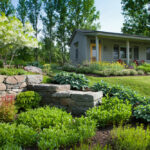 Hartland Designs offers full service maintenance to your landscape. We do Spring Cleanups, monthly, bi-monthly or weekly visits, mowing, minor tree and shrub pruning, and Fall Cleanup. We also LOVE to get to work on neglected, overgrown gardens. Sometimes we are just hired to come in one time to get a garden under control, reorganize it a little, and hand it back to the homeowner in a more manageable state.